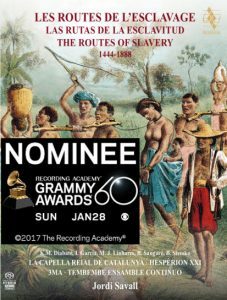 LES ROUTES DE L’ESCLAVAGE (ALIA VOX 2016) has been nominated to “Best classical Compendium”. It is the 7th nomination that Jordi Savalls receives, besides having won the award, in 2010, for DINASTIA BORGIA (Best Small Ensamble Performance). 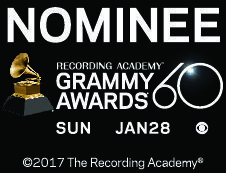 The final decision will be known on January 28th during the 60th ceremony of the Grammy Awards.